This journal is mostly public because most of it contains poetry, quotations, pictures, jokes, videos, and news (medical and otherwise). In other words, all the really interesting entries are public--if you like what you see, you are welcome to drop by, anytime. I update frequently. Please note: this is a mirror / backup site of my LJ: med_cat.livejournal.com. This Dad was super thoughtful to leave his teenage son a note with and some cash to order a pizza. Even better is that he specifies that he left the money with “Meatloaf”. As it turns out, Meatloaf is the cat, who is still daintily holding a twenty-dollar bill between her paws. Let’s hope the son was willing to share his pizza with this talented kitty! Police in Western Australia responded to an emergency call over what turned out to be an arachnophobic man screaming at a spider, The Guardian reported Wednesday. A passerby in suburban Perth had called police after hearing the man repeatedly yell, "Why don't you die?!" The Wanneroo police log of the incident read, in part, "No injuries sighted (except to spider)." The man apologized for inconveniencing police. We thank the Keeper of our years. Happy upcoming New Year to everyone! Ded Moroz ("Grandfather Frost") is the Slavic equivalent of Santa Claus, but he acts just a bit differently from the St. Nick that Americans are used to. He does wear a long red fur coat and fur-trimmed hat, but Ded Moroz also carries a magical staff, and instead of sneaking down chimneys to deposit gifts before disappearing into the night, he actually shows up at New Year's parties to give kids their gifts. 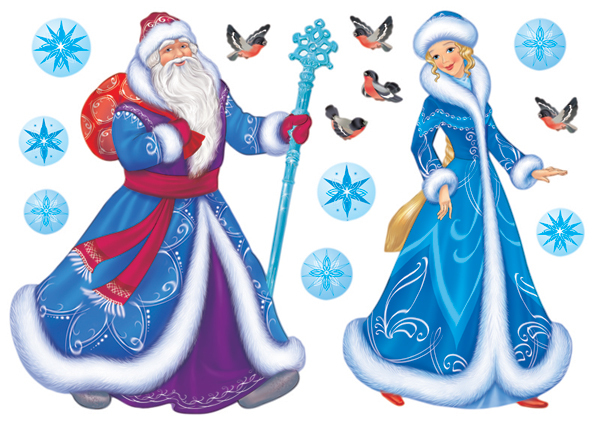 He’s also accompanied everywhere by his granddaughter Snegurochka, the Snow Maiden. Charles Dickens and "A Christmas Carol"
...If not, do take a browse in the comm! The Wurzels: Don't tell I, tell 'ee!